Here in NC we are experiencing something we don't get to experience very often - snow. And I love it! So while we are hunkered down, enjoying our milk and bread that we frantically ran to the store yesterday to acquire - maybe a little crafting is a good option. 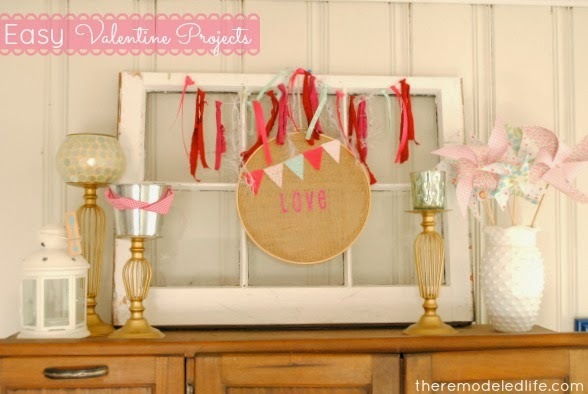 Monday I shared a glimpse of some of the Valentine crafts I had been working on, today I have a bunch more. 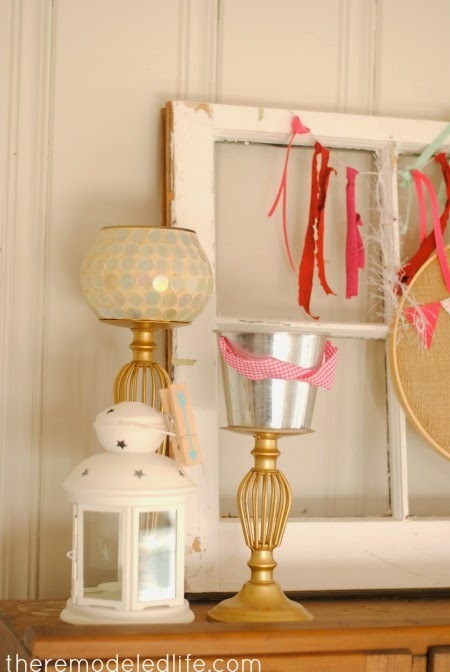 First up, a sweet and easy fabric hoop wreath. Hoop wreaths are my new favorite thing. For this one I used some leftover burlap, both felt and paper to make the little bunting and some little letter embellishments. Of course, hot glue was my friend here. No sewing required. If you don't have a pattern punch, I highly recommend one. 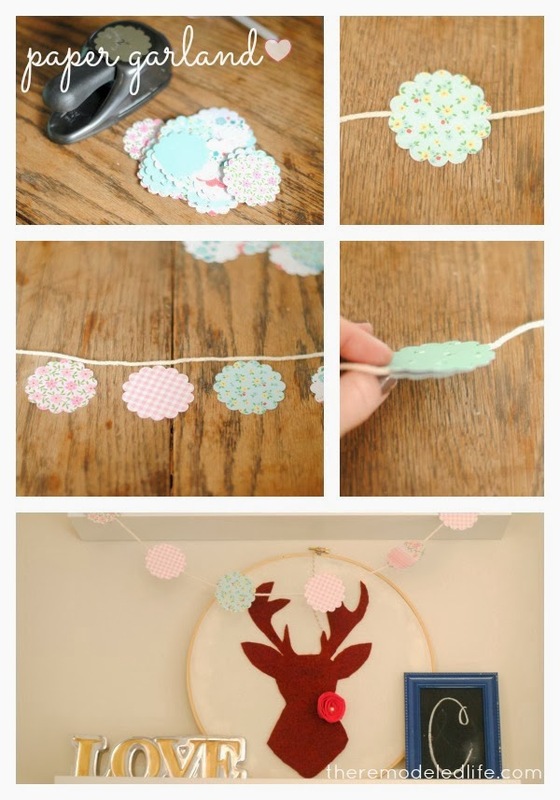 This little garland was quick and simple. After punching out a ton of flowers from some craft paper I simply glued two together along a strand of yarn. These little garlands are now adorning our living room shelves. My little deer also got in the spirit and is sporting a little felt rose boutonnière. 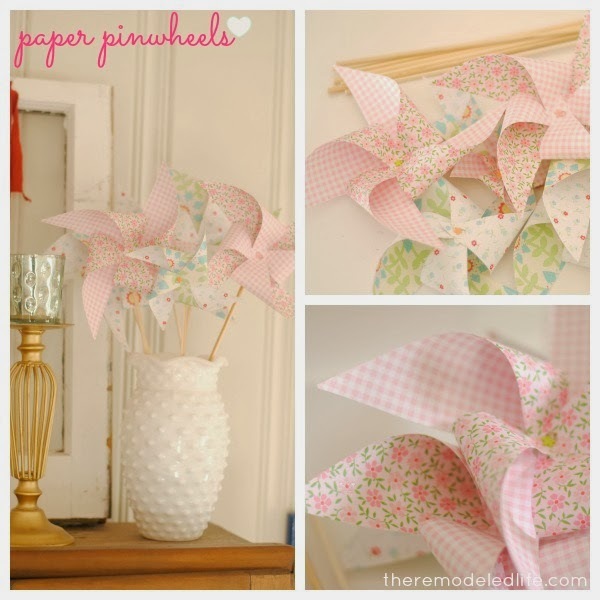 These pinwheels are so sweet and simple. I loved making them and you can whip a bunch out in a very short time. Make sure you check out this tutorial - its awesome. 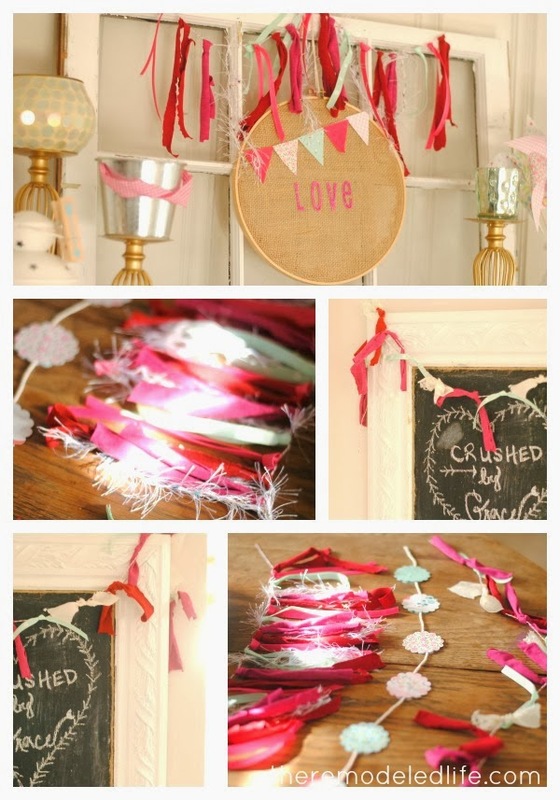 Another easy and simple, no sew option for a banner is knotting strips of fabric or ribbon on a strand of yarn. I love the simplicity of these things. We are getting pretty vintage up in here for Valentine's day. To pull everything together I just walked around my house and stole things here and there that I liked and thought would flow together. Such an easy way to change up a space and plus its free. Slowing down for a moment and making something with your own two hands is such a mind clearing activity. The theme of Valentine's day is love and I couldn't help but think clearly about the theme of our God - which is always and forever will be = Love. His love is the only love and what all other loves spills out from. We love because He first loved us. What a beautiful thing to take some time to reflect on. Ok, I'm off to sled down some snowy hills, make a snowman, eat some snow cream and probably check out all of my favorite blogs. 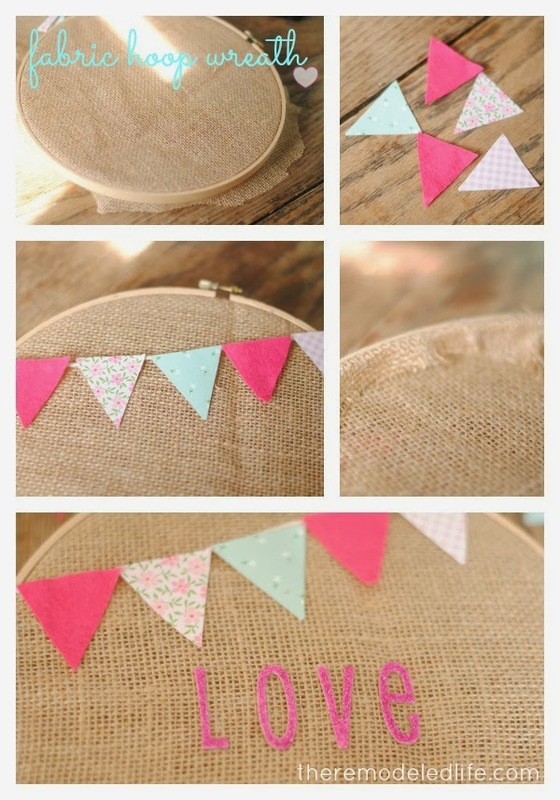 Love the embroidery hoop and bunting! So cute! I love this post! The pinwheels are so cute! I am going through my blogs I follow today and cleaning them up so to speak, as I followed many years ago and many Im finding are inactive :( Im happy to see you are still here and posting! Maybe you will post again soon!